At a time when the new Trump administration is focusing on United Nations cuts and on Middle East negotiations, the United States could invest its energy in a real legacy that can be achieved: a humanitarian solution for millions of descendants of the Arab refugees who fled from the new state of Israel in 1948. 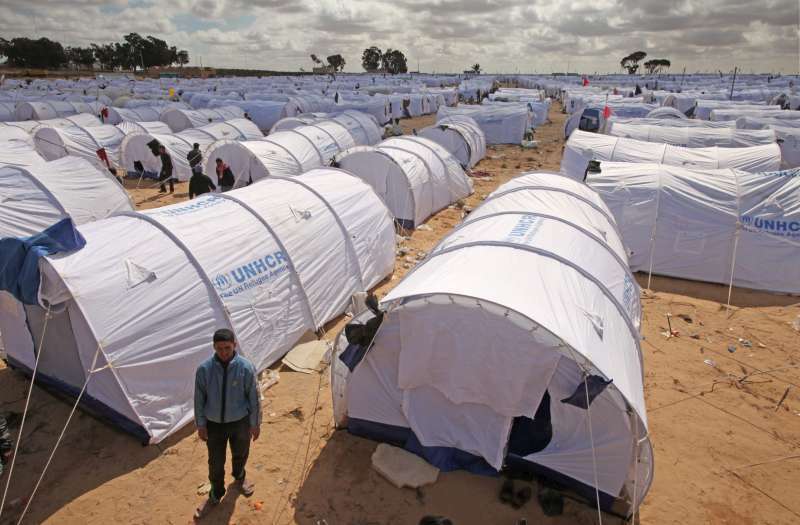 They have since lived in 59 “temporary” refugee camps, hosted by the United Nations Relief and Works Agency (UNRWA) in Syria, Lebanon, Jordan, and Israel. Since the US provides about $400 million of the annual $1.2 billion UNRWA budget, it unwittingly prolongs a unique refugee status in perpetuity. Meanwhile, Hamas gained control over the UNRWA workers’ unions and teachers’ associations in Gaza. That means that “humanitarian funds” actually flow to what has been designated by the US as a terrorist organization, where there is no pretense of transparency or accountability. How can an agency that operates under the aegis of the United Nations train children for war? Over the last five years, our agency filmed military training camps for UNRWA children, age 10 to 15, and interviewed Hamas leaders who praise and confirm the full cooperation of UNRWA in strict armed preparation of children. Trump could demand that UNRWA dismiss all employees affiliated with Hamas, in accordance with laws in the US, Canada, the European Union, the United Kingdom, and Australia, which forbid aid to agencies that employ members of a terrorist organization. The US Congress enacted strict laws in 2003 in this regard, which have never been enforced. The US could ask that paramilitary training of UNRWA students stop. The US also could demand a strict audit of donor funds that flow to UNRWA from 68 countries and examine reports of wasted resources, duplicity of services, and the illegal flow of cash to terrorist groups. At the same time, Trump could finally push UNRWA to adopt the principles of the Office of the United Nations High Commissioner for Refugees – which apply to all other refugees around the world – and order UNRWA to permanently resettle Arab refugees from the 1948 war. The US could address the madness of continuing to create more and more refugees – children, grandchildren, great-grandchildren, and beyond – and instead apply UN standards of resettlement to UNRWA to resolve the problem. There is much the Trump administration can do if it wants to establish a Middle East legacy that will last a lifetime. Now is the time for a new president to launch a courageous initiative to eliminate a root cause of violence, and remove the label “refugee” from millions of Palestinian Arabs who have been marked with that status since 1949. David Bedein is the director of Israel Resource News Agency and also administers the Center for Near East Policy Research. He is also the author of “Roadblock to Peace – How the UN Perpetuates the Arab-Israeli Conflict: UNRWA Policies Reconsidered” and “The Genesis of the Palestinian Authority.” His website is www.israelbehindthenews.com.